Vorsteiner has done it again. Although a stock 991-generation Porsche 911 may be good enough for the vast majority of European sports car fans, there are plenty of different ways that one can go about improving upon perfection. From modifying the look of the vehicle with aftermarket aerodynamics and custom wraps, to tuning the performance of the 911 to crank out as much horsepower as possible, there’s really no shortage of customization options available to the truly dedicated. 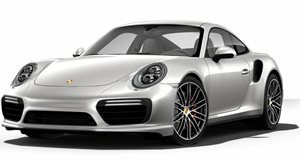 However, for Porsche 911 owners really looking to make their car stand out from the crowd, Vorsteiner‘s new body kit for the may be one of the best options on the market. The new kit by the American tuner really pushes the look of the German sports car to a whole new level of aggressive. The kit includes a mean-looking lip spoiler and bumper, a monstrous rear wing, bolder side skirts and brand new air vents that make the 911 look like a bloodthirsty road shark.